Reducing the abandoned carts is a general problem of e-commerce business. Your e-commerce store is still concerned as the inefficient operation when you sell products online with thousands of visits per day but the carts abandonment rate is still too high. Although Magento 2 community has found their way with Magento 2 One Step Checkout extension which can absolutely optimize checkout process and reduce the carts abandonment rate, other platform based websites seem to be still stuck with this issue. A visitor will never give out his/her information on the first time he/she come or the first time purchasing in your store because personal information is important. Accordingly, if you require shoppers to sign up to view or sign up to complete the purchases, it is undeniable that the percentage a shopper abandon the cart is completely great. To let your visitors conveniently suffer on your site, Guest mode should be turned on. Once the visitors have investigated your site enough, they will undoubtedly become your customers. Some online stores might think that Wish List is unnecessary because shoppers can put the products directly into the shopping cart without purchasing later to consider the quantity they buy. And even if the shoppers do not checkout, the products still remain in the shopping cart for future purchases. However, a wish list is more important than being just a list of visitor favorite products. The best part is always saved till the last. 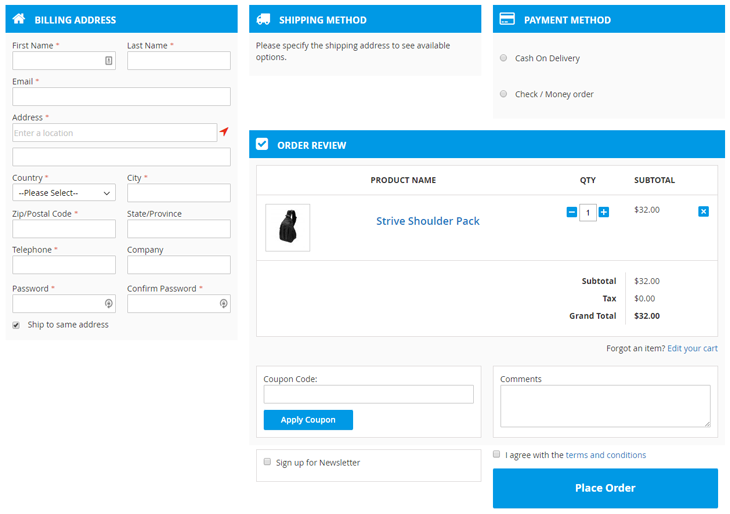 One Step Checkout module help optimize your checkout page is the best as well as the most convenient solution to your page. For an excellent example, Magento 2 One Step Checkout by Mageplaza provides users outstanding features to effectively boost conversion rate up to 30% and reduce 66% abandoned carts. This extension is totally money earning machine to Magento 2 stores.